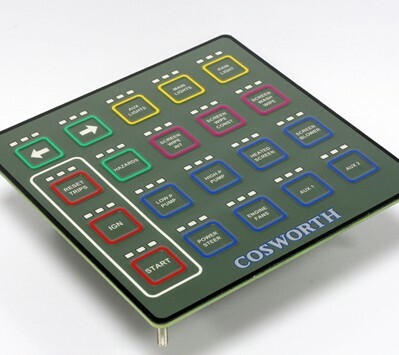 The Cosworth Membrane Switch Panel (MSP) is a fully customised membrane switch panel supporting up to 20 momentary push button switches in a variety of combinations, with an embossed outline around the edge of any button. 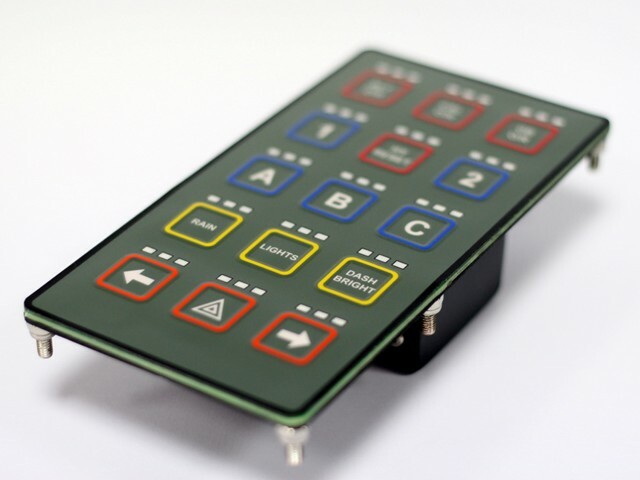 There are 3 independently controlled LEDs to show the status of each button. The identification of each CAN packet defaults to values which are compatible with the existing Cosworth range of products including ECUs and Hyllus Power Management Unit. The CAN identification addresses are stored in non-volatile memory and can be changed by using the MSP configuration menu which is available via the RS232 interface.